Chuck leads Woodruff Sawyer’s Construction Practice, and serves as Vice Chair on our Board of Directors. 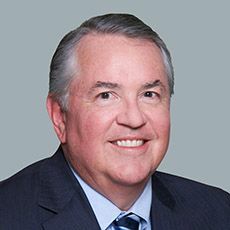 Chuck has more than 35 years of experience in insurance and risk management, with specialization in the construction and real estate industries. His experience includes risk management consultancy and the development and placement of insurance programs for many major construction and real estate development firms in California. He also leads the surety discipline for the firm and is a nationally recognized professional in this industry. Chuck is a board member of the Bermuda Captive, Assurex Global Reinsurance Partners, and is a legislative resource for the Construction Employer’s Association on bonding and insurance matters. Chuck earned his bachelor’s degree in accounting from California State University, Sacramento, and holds the CPCU designation.